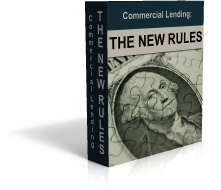 Thank you for considering financing with Commercial Lending X. Please complete our online application below, or if you prefer, you can download our application here and either fax it to us at 630-230-4228 or email it to us at info@commerciallendingx.com. Any information provided to us on this form will be kept in the strictest of confidence. This application form is only used to provide initial information regarding your financing request that will help us understand what you are looking to do and start the conversation with you on how we might be able to assist you. In order to actually move forward with financing, we need to conduct a formal interview with the Client as well as review supporting financial documents. We use the initial application, interview, and supporting documentation to fully underwrite the loan request and work with the Client to position their request with the best chances of getting it approved. Documents will not be forwarded on to lenders without first getting the Client’s permission to do so. Please click below for a full documentation list of what may be required if you would like to move forward with financing with Commercial Lending X. The below information is required to be completed for someone looking to become a potential client of Commercial Lending X (“CLX”). This information will remain confidential.